EP 33: Ali Byrd Has Seen All Sides of M&A. Now He’s Leveraging That Experience for Duke Alums at Towerview Ventures. A former member of Microsoft’s Venture Integration team, Ali Byrd shares how his experience managing companies through acquisition is helping him build a winning venture capital portfolio for Duke alumni. Working with Microsoft’s Venture Integration group, Ali Byrd performed due diligence on prospective companies and helped newly acquired businesses assimilate into the company through post-merger management. Naturally, he became acquainted with a variety of startups and venture-backed businesses, and he learned what it takes to attract a sale and court success after a check has cleared. Now, on the other side of the table, Ali is leveraging that experience to build a winning portfolio for Duke alums at Towerview Ventures. In addition to onboarding companies at Microsoft, Ali spent several years as a startup CFO. In 2016, at Olapic, he managed the company’s acquisition by Monocytes. By this point, he’d truly worn all possible hats in the venture transition process. Insider insights; a smart, diversified portfolio approach; and a large deal referral network all work to Byrd’s advantage. He expects that some founders in his portfolio will experience liquidation opportunities, benefitting Towerview investors. He’s following the strategy set by by sibling funds at Alumni Ventures Group that have already seen a number of investments be acquired, go public, or attract upround capital. Listen to this podcast to learn more about Byrd’s experience and his big plans for Towerview Ventures. 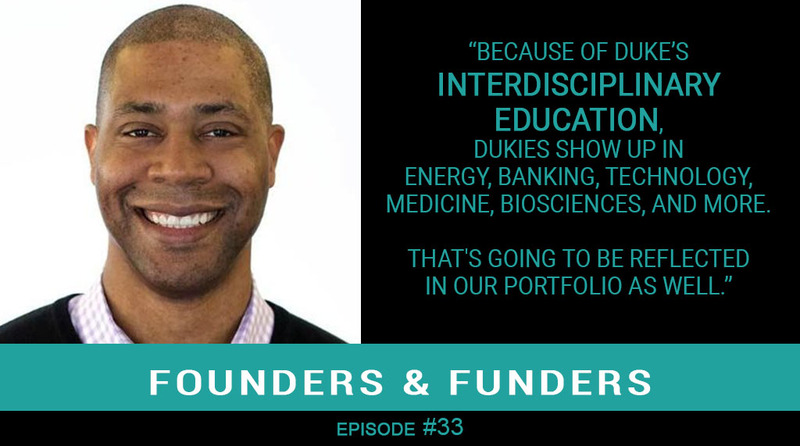 And don’t forget to subscribe to Founders & Funders on iTunes, TuneIn, Stitcher, Google Play, iHeartRADIO, and Android.